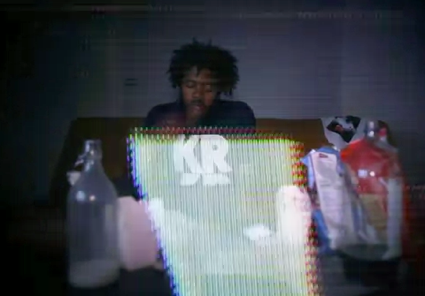 From the Brooklyn Progressive Era Crew, baroque 90’s influence hip-hop artist Capital Steez, shows up on the screen without violence and with a chilled attitude to give us his point of view on how he sees todays world. Paranoïa feelings through me back into Requiem for a dream, Tv screens and warm hip-hop mixing about global politics with personal statements, Free the Robots is a track you’ll find on his AmeriKKKan Korruption mixtape to be re-released October 10. Don’t over think the epileptic side of it, press play.